The story of four young bartenders, and their successful “Three Cents” soft drinks that have found their way into top cocktail bars around the world. At the beginning of the last century, the cheapest drink you could get at an American bar was soda on tap. It was 2 cents for a plain soda water, and 3 cents for a soda with added flavor. Flash forward a century, to the year 2014. Bartender George Bakos (a business administration graduate) has an unusual idea. 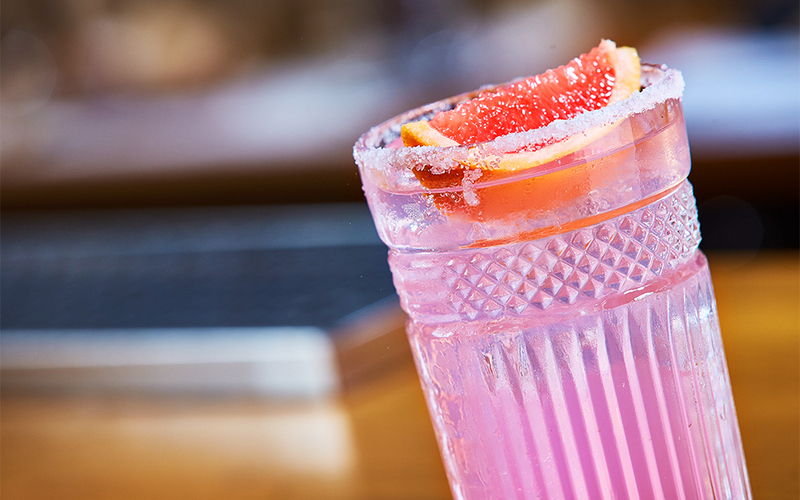 He is going to make and bottle a 100% handmade pink grapefruit soda, to use in the classic Mexican cocktail Paloma. Just in case you’re not familiar with the regular duties of a bartender, making their own soft drinks is not one of them. Some make use of a soda siphon, but that’s as far as they’ll go. Bakos takes it lot further, taking the zest from Greek grapefruits and heating it with sugar and water to make a syrup, and then adding carbonation. After several trials he succeeds in getting the taste just right, and starts to bottle it up. He makes just as much as he needs at the bar where he works, and to share with friends and guests. 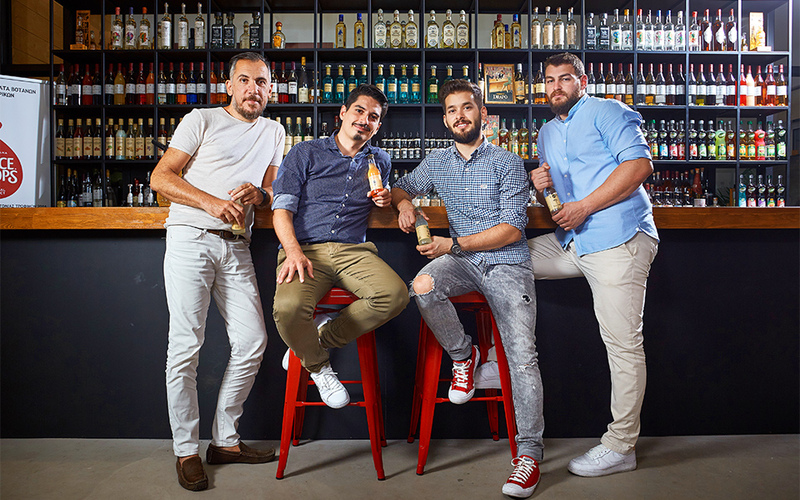 At the time, Bakos’ friend and fellow bartender Dimitris Dafopoulos (who had studied marketing and communications) was working a second job at Granikal; a spirits and bar company owned by Vassilis Kalantzis. George soon joins the company. Next to join the team is another bartender George Tsirkos (a computer science graduate), who has just returned from London. The four friends know they want to work together, but not at yet another bar. They’ve worked at many bars, and seen enough of the scene both in Greece and abroad, to know what bartenders need. At some point the idea is sparked: “We could make premium soft drink mixers for use in bars”. It’s decided. The first thing they did was come up with the name, “Three Cents”. Remember the American soda on tap? The trials begin. They narrow down the first few flavors, but the hard part is still ahead. Turning their ideas into reality won’t be easy. Vassilis is an acquaintance of the Anastasopoulos family from Aigio. They’re the owners of the soft drink and soda company “Krinos” with a long history in the business. They get in touch and the first feelers lead to negotiations. The four friends reveal their idea of making soft drinks flavored with fruit zest and no juice. The new partners are skeptical. Soft drinks without juice? “All the aroma is in the zest,” they explain. More experiments follow, and some unsuccessful trials, but eventually the factory owners are convinced, despite the uniqueness of the product and its limited production. 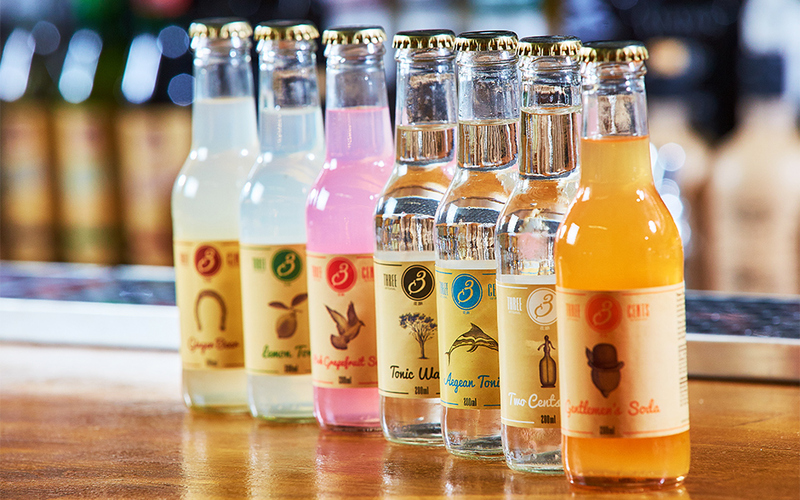 On December 17th, 2014, the first five soft drinks are ready for sale. Contrary to expectations, before the end of the year, they have sold 500 crates of Three Cents drinks; all in person, door to door, to fellow bartender friends. The guys are rocking it. Demand is high, and sales are growing exponentially. For 2017, total production is expected to reach 5.5 million bottles. 60% is already exported to 23 countries in Europe, Asia, and America, where they are gaining ground alongside the products of global giants. 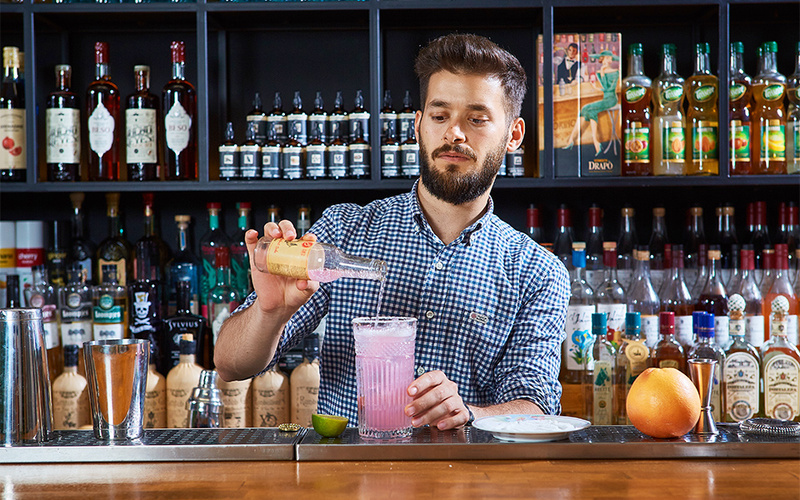 Some of the best bars in the world now mix cocktails with their artisanal soft drinks. How did they break into the international market? Again, initially with the help of friends and acquaintances working at bars abroad. Then others began to get wind of them, gaining the attention of well-respected websites that further spread the word. They also attended bar shows and exhibitions, showcasing their products, drumming up interest. 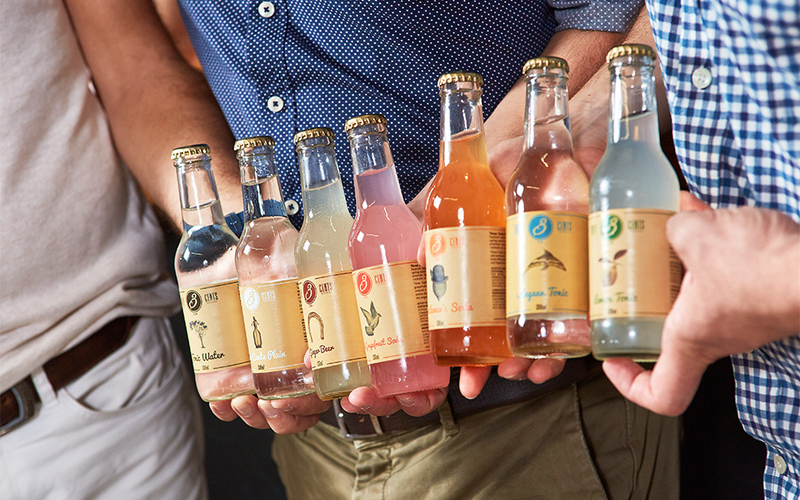 The secret behind Three Cents’ great success is the quality and the excellent flavors of their drinks. They are 100% natural, without preservatives, synthetic flavorings or colorings (only natural colorings are added). They are tasty and sweet – but not too sweet (made with sugar only; no artificial sweeteners), fragrant, and different from all the other products on the market. At least they’re not like any other soft drinks I’ve ever tasted. They’re refreshing, and leave a sharp, almost burning feeling in your throat as you swallow; making your eyes water. They’re powerful, highly carbonated mixers meant to be paired and diluted with alcohol and ice. Made by bartenders, for bartenders. This was the original idea and their purpose. Of course they are now big sellers at retail outlets as well. What’s different about them is that they don’t contain any fruit juice. The creators of Three Cents know that using juice would most likely require adding preservatives. In any case, the peel is where most of the fruit’s aromas are. They use water from the springs of Rododafnis Aigiou and essential oils which they produce from the peel of Greek citrus fruits when they’re at their prime. They tried other essential oils, but couldn’t find any satisfying options ready on the market. Greek citrus fruits beat all others, they say. They use mandarin and bergamot for the “Gentlemen’s Soda” (my favorite), grapefruit for the “Pink Grapefruit Soda” (their biggest hit), and lemon, lime, and bitter orange for the “Lemon Tonic”. 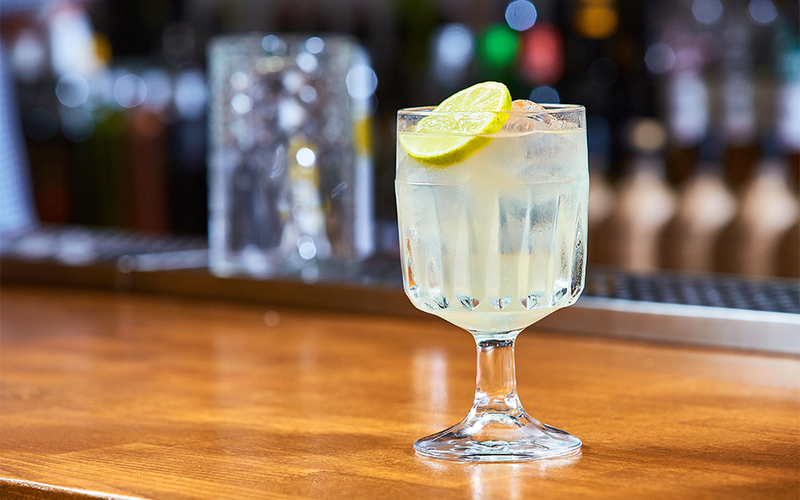 In the “Aegean Tonic” they pair the citrus fruits with Greek basil, mint, and cucumber. It’s amazing that a bitter drink can be so aromatic and refreshing! For the Ginger Beer they use ginger from India which is fermented, resulting in a strong, spicy flavor. In good liquor stores all over Greece, at Thanopoulos stores, and Vassilopoulos Bros delicatessens.